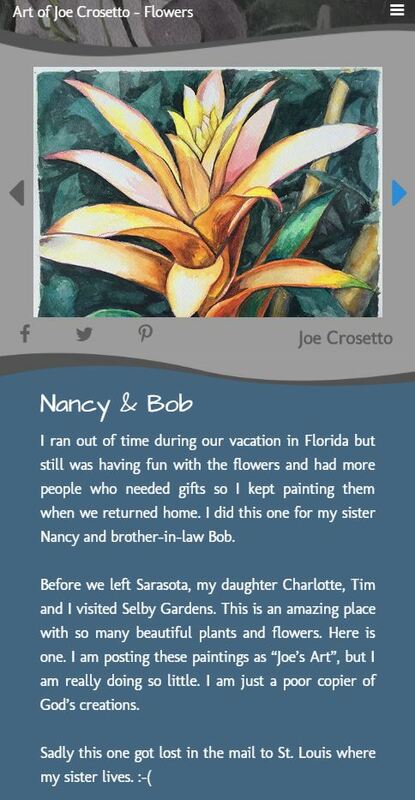 Joe Art is a portfolio site for my artwork. Someone who intrepidly follows their ideas is almost the definition of an artist. This confidence helps me make bold design decisions. Work is divided up into mini-galleries of 10-15 pieces. 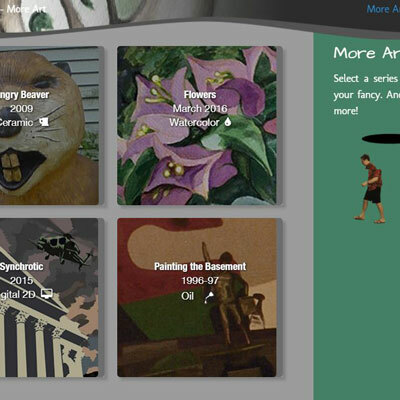 The thumbnails on the homepage entice visitors to explore these galleries. 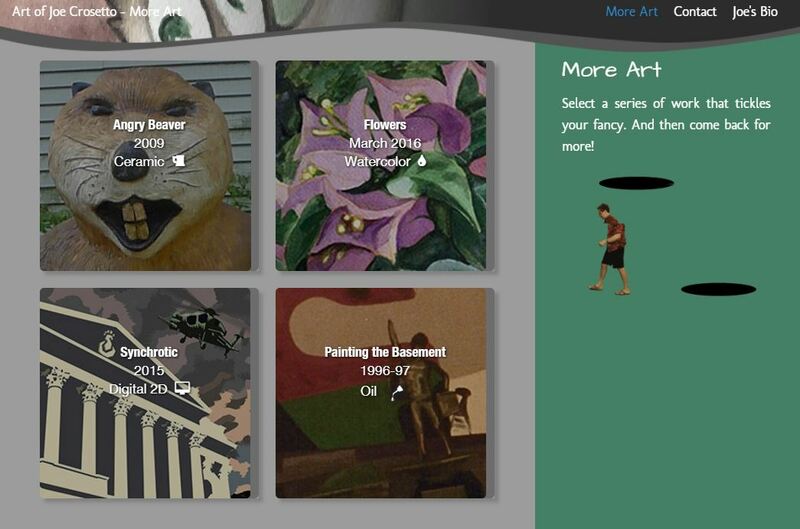 As more galleries are added a tool be available to sort the thumbnails by media or date. When I add a new gallery, I post this on social media so most visitors will land inside the newest gallery. After they see a gallery, they are encouraged to look at More Art which brings them to this page. A gallery is a series of related images and or videos and a written story. The visitor can swipe through these, forward and back always staying on the same html page. This is a simple interface that stays out of the visitor’s way. 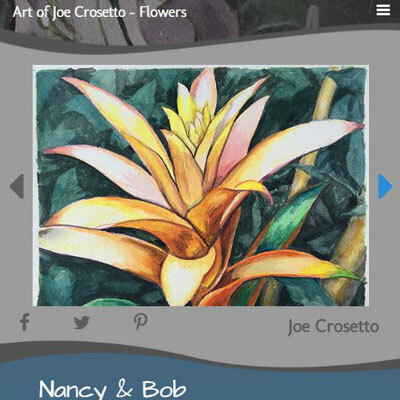 If the visitor clicks on the social media icons they can Share an image and link to the gallery with their friends and followers. I do this rather than take the visitors to, say my facebook page, to keep them on my site. I put an animation at the end of every gallery. This is a reward if the visitor views all the images. I noted that many people were only viewing the first image in a gallery so I made the right arrow button bigger and blue and made it bounce a few times to attract the visitors attention.